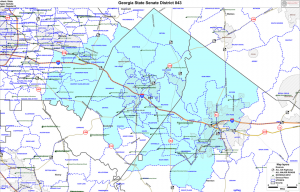 Georgia State Senate District 43 includes portions of DeKalb, Rockdale, and Newton counties. Do you live in Senate District 43? To find out, click on the map or visit the Georgia My Voter Page.